NOTICE: Over the next few weeks we will be making several improvements to the site. We appreciate your patience during this time. 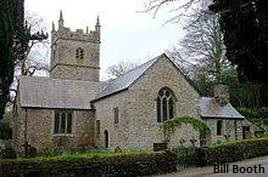 This is a community website for the Parish of Morval, in South East Cornwall, England, UK and provides information for residents and visitors about what is happening in the parish. In April's Outlook, you will see the editors included a warning that the defibrillator outside the Widegates Reading Room was not operational and could not be used. After it was printed, the editors were told that the problem had, in fact, been able to be fixed. Morval is a rural civil parish and hamlet in south Cornwall, England, UK. 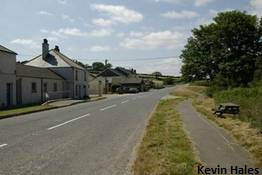 The hamlet is approximately two miles north of Looe and five miles south of Liskeard. The population of Morval parish in the 2011 census was 711. To the north, the parish is bounded by Dobwalls and Trewidland and Menheniot parishes, to the east by St Germans, to the south by St Martin-by-Looe, and to the west by Duloe. Widegates is a small village located four miles northeast of Looe. Its proximity to the resorts of Fowey, Polperro and Looe and the city of Plymouth makes the village ideally placed to use as a base to tour the whole of Cornwall. Disclaimer: The appearance of any organisation or business on this website should not be taken as implying support for, or by, any other organisation or business on the website. The content on individual webpages is controlled by the organisation or business, who should initially be approached for comment or clarification.